Stereotype: The rich and famous author. Most people outside of publishing believe all authors to be rich and famous. Most published authors are, ahem, not. In fact, most books don’t even earn out their advance. 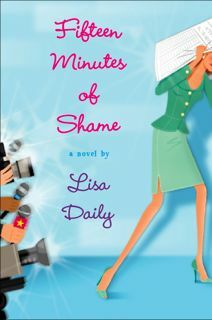 –The average book in the United States sells about 500 copies. Let’s assume every book is hardcover (okay, okay, try to stop laughing) and every author earns $3.00 a book, instead of the whopping .77 cents per book that a trade paperback earns. The average hardcover author, making $3.00 a book, would earn about, $1500. The average trade paper author would earn enough to take a party of six to that New York City hamburger joint that charges $57 a burger. Plus a couple of rounds of beers. The good news is, you only have to sell 501 books to be above average. As for fame, the thing that really cracked me up when I first started telling people I was an author, was that every person I met asked if I knew John Grisham. I guess they all thought that my publishing contract came with a special invitation to a secret club, and that suddenly John Grisham (who, with his southern charm, would most certainly be heading the welcome committee) would invite me out for coffee on Thursday afternoons. Amy Tan would bring the struedel, or maybe something to spike the coffee with, and Stephen King, Mitch Albom and Jennifer Weiner would beg me to whisper to their dice when we all gathered around Maya Angelou’s kitchen table to play Yahtzee. I have been asked, so many times in fact, that a group of us have banded together. We call ourselves The John Grisham Coffee Club. Mr. Grisham is not a member. But of course, he’s always welcome. The Yahtzee game starts at 3.
but there are so many ways to increase your odds of success. Heck, just blogging here increases your odds. (and it has mostly to do with dollars). The average book sells 500 copies? How disappointing, Lisa. 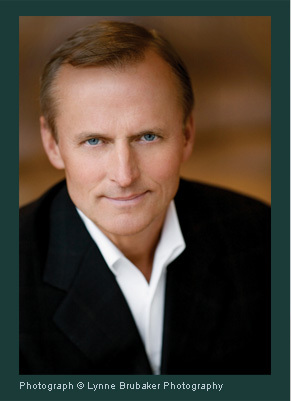 As for John Grisham, maybe some folks are confused since he did “appear” here as a guest blogger. As I was saying to John just the other day, or Jon-Jon as I like to call him since we’re so tight…..
yeah. Despite the fact that I would likely rub her feet just to be close, Meg Cabot and I never hang out. Strange huh? Smart and funny and to the point, as always, Lisa! The Grisham thing is pretty universal — people asked me if I knew him years before my participation with the Debs — and I know a lot of non-fiction authors and they get the same question. This post has had the fewest comments of any I’ve ever done — too depressing? Buck up, my fellow authors. Ten lucky winners get the million-book prize. It’s gonna be somebody, it might as well be you. Don’t get all jealous on me or anything, but that very group of authors has already asked me to join their band! I’m going to play the triangle. I always loved that instrument in kindergarten 😉 . Ooh, I am jealous. I saw the Rock Bottom Remainders play last year. What a great post, Lisa! I’m so glad you tell it like it is… thank you! Now I have to take that call from Johnny…. Great post, Lisa! I’ve seen those numbers before and really hope they include self-published and small print run textbooks. Now that I have an agent, my parents are beginning to take my writing seriously. On the weekend my dad asked me if I could make a hundred grand a year. I laughed. And then cried.